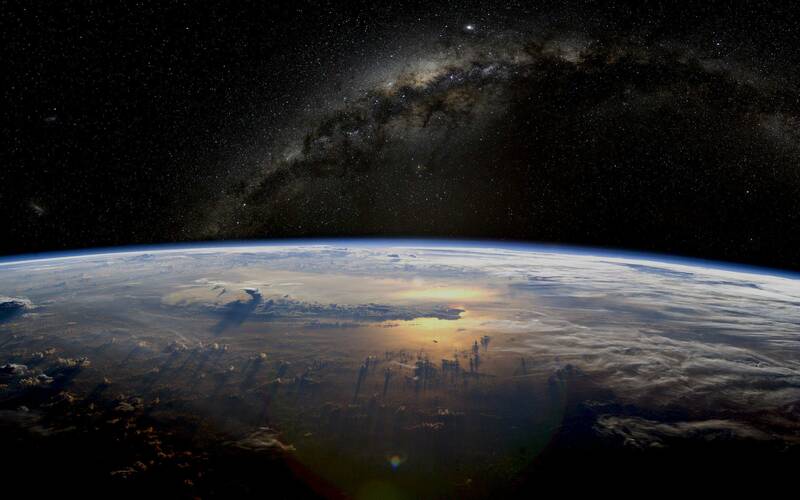 A picture of the Earth, framed by the Milky Way galaxy in the background, taken from outer space. Click to enlarge. The tower told me to land on the red dot at the center of the runway. When I touch down there will be a plane taxiing in front of me and another landing in back of me – three planes on the runway at the same time. It gets very tight. Aw…there is plenty of room. One day Ron Fieseler took me up in N8888E, a two place Skybolt that he built, to do some aerobatics. He demonstrated a loop, then a roll, etc, and then I tried the same maneuver. Amazingly, I did an excellent job and had a blast in a very powerful, very capable plane. I will never forget that ride. The Skybolt has a 540 c.i., 350 HP.Lycoming IO-540 engine. This plane accelerated down the runway like a jet.